Added on September 21, 2015 by Laila Cassim. The Hinamatsuri project was established to develop different cultural interpretations of Japan's traditional girl's festival, the Hinamatsuri Doll’s Festival. Three teams, each led by professional designers from Bosnia and Herzegovina (Natasa Perkovic), Portugal (Ligia Lopes) and Tokyo (Laila Cassim)worked simultaneously in producing work based on the festival from their own unique cultural and social perspective. The exhibitions showcasing the three projects “The Hinamatsuri Project – Old Traditions, New Eyes” (See Exhibitions Sectio)was as held at the Shimadai Gallery in Kyoto as part of a 8 Women of Kyoto - Hinamatsuri event, sponsored by the Kyoto Prefecture Food Industry Organisation, from February 14 -16, 2014. The beneficiaries in Himawari-en have severe autism and learning disabilities, ages ranging from 18 to 60 years old. Art classes are held weekly for 2 hours for 10 ~15 beneficiaries supported by staff with no art training. 6 weeks prior to the workshop, the design leader visited weekly to assess each beneficiary's artistic abilities. Each beneficiaries was given materials that helped bring out their hidden artistic talent. Art works to be used in the workshop were selected based on texture, style and subject to reflect the wide range or artistic expression. The art works were then digitised and edited (to a minimum) for the workshop. 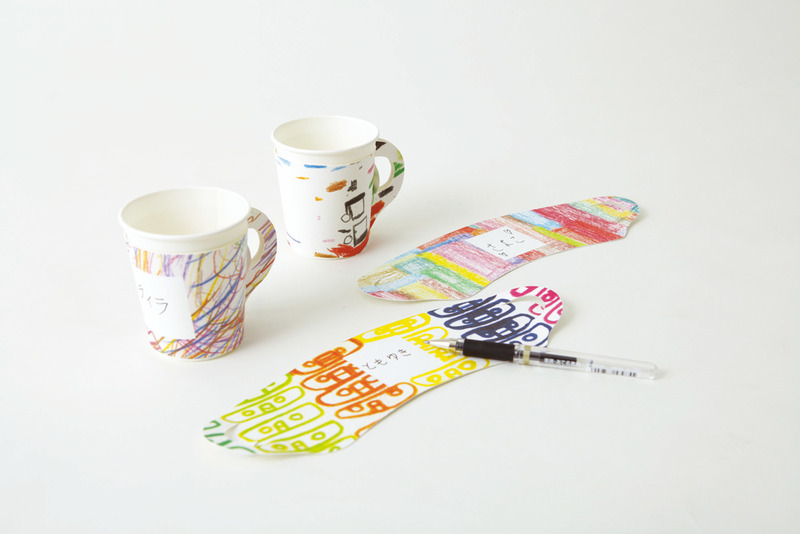 A 3 day workshop was held in Tokyo University of Arts to create prototypes of the design goods. Design students worked with staff from Himawari-en and professional designers to create products which could either be easily assembled at Himawari-en or could be outsourced - each of which utilises the drawing's unique characteristics to the full.